Historical Romance, Intrigue, Mystery, Suspense, and Out-Of-This-World Stories. As writers of Christian fiction we have the potential of having a great influence on those around us. Because of the power of story! Story speaks truth in ways everyone can understand and accept. 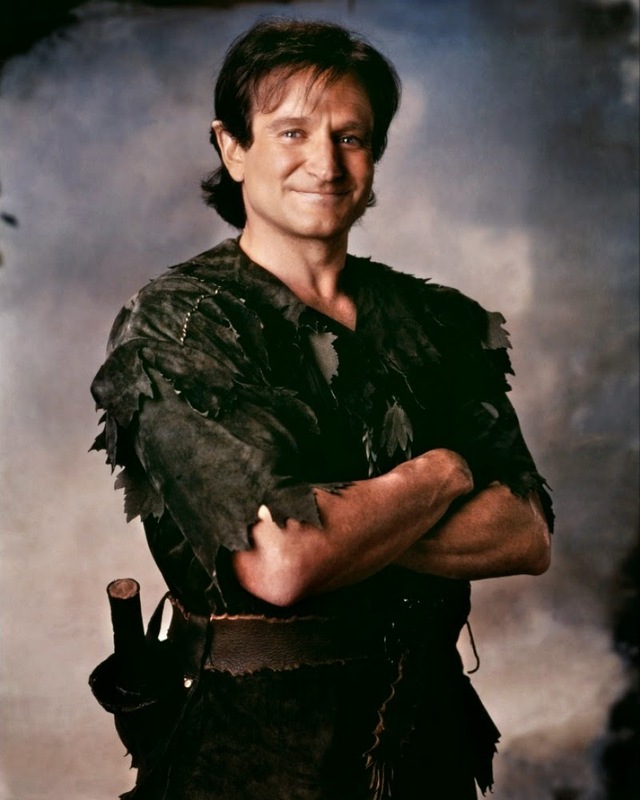 For today's post, I wanted to repost my "story" about the death of Robin Williams. Granny Wendy: So... your adventures are over.Peter Banning: Oh, no. To live... to live would be an awfully big adventure. Peter Banning: What's the matter with you? When are you gonna stop acting like a child? Peter Banning: [sees Tinkerbell on the Peter Pan statue] Tink!Tinkerbell: Say it, Peter. Say it and mean it.Peter Banning: I believe in fairies.Tinkerbell: You know that place between sleep and awake? That place where you still remember dreaming? [Peter nods]Tinkerbell: That's where I'll always love you... Peter Pan. That's where I'll be waiting. For more information on how to conquer depression and find Hope again, check out my website, conqueringdepression.com. Being a published author has not turned out the way I had hoped. First, I’m sticking with my day job. It seems the only way to make a living writing is to break out with your book and gain a television or movie contract. Let’s face it. The vast majority of us who are published will never see our book in any kind of media format. Not even an audio book! Second, the publishing industry is in turmoil. Thanks to Amazon, ebooks dominate. While that is a good thing particularly when I want to pop open my iPad and read any of dozens of books on a whim it has changed the way readers browse. Far less readers are going to wander through the Christian fiction section of their local bookstore (assuming it hasn’t gone out of business!) and just happen upon one of our books. More of us are turning to self publishing which turns out to be mostly a scam unless you go to the right company. Third, writing a book is no longer a joy because the real work is in the promotion and marketing. I didn’t anticipate having to spend a couple of hours a day on social media to promote my book. I’d rather spend that time writing and editing. Publishers don’t do very much to help you promote your work. They leave 99.99% of that to the author. Fourth, Christian publishers are in jeopardy. Being Christian in today’s society is tantamount to being a leper in the time of Christ! Marketing our books to the non-believers is almost impossible. And, the believer base is shrinking. Here is what I mean by that last statement. George Barna in his book, “Seven Faith Tribes of America” states that 67% of Americans claim to be Christians. That is startling! But, when he polled them about their beliefs, this group only pays lip service to Christianity. They are NOT practicing Christians! Only 16% of Americans are practicing, “committed” Christians. Wow! That is sobering. As Christian authors we must either make our story more “worldly” and be rejected by traditional Christian publishers (which is one reason why they may be in so much trouble) or we must take the safe route and focus on that shrinking, smaller group of committed Christians. Traditional publishers just haven’t figured out how to handle this situation. But, being so discouraged, here is what I know and what I cling to every day. God has called me to be a creative person in His Kingdom. God has given me the opportunity to tell His Story in my own way. He has invited me to be a part of His unfolding narrative. I have to remind myself of that constantly. You know the scriptures. As a Christ follower we were never told the path would be easy and the work would be light. We were told to be diligent in hard times and to carry our cross. I will persevere. Never give in. Never give up! God is still in control. In the midst of this chaos we call American society, God is still working. His plans will prevail. This world in which we live did not catch Him by surprise. And, that is why we must work harder to make our words reach that 67% of Americans who have lost their way and only think they have their lives sorted out. We are God’s tool to tell the ultimate Story. Finally, Christian fiction writers have a community. We are disjointed, separated, fragmented but we are here for each other. We need to be more vocal and more supportive of each other. I simply pray for every author listed on this page every week. I read the blogs of most of the authors on this page and make comments and share links to broaden our “tribe”. Please do the same for me and for everyone else you know struggling in this industry. I do have one bright star on my horizon. In September, my co-author Mark Sutton and I will release a new book on depression, “Hope Again: A 30 Day Plan for Conquering Depression”. That is NOT the book I wanted to write. I wanted more of my Jonathan Steel demon series to come out. But, this book has the potential to change so many lives. It is God’s plan! And so, as is often the case in my life, God has a way to achieve His purpose using my gifts, talents, and skills in a way I never planned! Imagine that! His plans are greater than mine! And, His plans still include me being a published author!! Our brains begin to store up images from the day we are born. By the time you’re my age, you have so many images and files, finding exactly the word or image you want it may take a few minutes. From those images and ideas stored there, we have a bank of ideas to use or all our stories. The first place I look for images and stories to bank in personal, real-life events or conflicts. Things that happen to us, the journey we take to reach a solution to a problem or face a crisis can become the nugget we need for a story. Disappointments and failures that cause heartache can give us the emotions we need for our story. Next I look at new events in my life and what is happening in the world around me. News events happen every day on TV and on the internet. Facebook sends us some funny stories and events. Put your own spin onto the idea. Another source is our hobbies and interests we can use for our heroes and heroines. It can become a part of their character and distinguishes them from others. Of course the Bible is a great story bank with love stories, battles, analogies, allegories, epic adventures. So, when you’re bored, another thing to do is to look around for story ideas. What’s behind that store clerk’s attitude, smile, or frown. Places you go and people you see can also be a catalyst for a story idea. And my all time favorite is to play the “what if” game with people and events. Now that I've created the title for this post, I have to admit that I can't remember a time when I was bored. I've always been a reader, and there's always something to read – a book, magazine, text message, cereal box, or road signs. But I've heard enough people claim to be bored, so I thought I'd make some suggestions to keep you from yawning. Read any book by Lena Nelson Dooley. Read a book written by Martha Rogers. Read a book by Brandi Boddie. Send notes to all your friends, thanking them for being there for you. Read a Beth Shriver book. Weather permitting, spread a blanket in your yard, lie down on the grass, and study the clouds. If there are no clouds, take a nap. Read a Darrel Nelson book. Create a bucket list and start working on it. Read a book by Bruce Hennigan. Organize a pet party for the neighborhood cats and dogs. Read one of Mike Duran's books. Bake a batch of cookies and bring them to someone who needs cheering up. Read any book by Greg Mitchell. Go to a public park, sit on a bench, and make up stories about the people who pass by. Read one of Mike Dellosso's books. Paint an old piece of furniture and find a place in your home or yard to display it. Read a book by Linda Rios Brook. Read something by Conlan Brown. Read poetry by Cherie Burbach. Go to the local community center and sign up for a class. Write a blog post about what to do when you're bored. Wash and wax your car. Find a comfortable spot in your house or yard and read my latest book, Dixie Belle. Happy Fourth of July! Celebrate Independence Day! 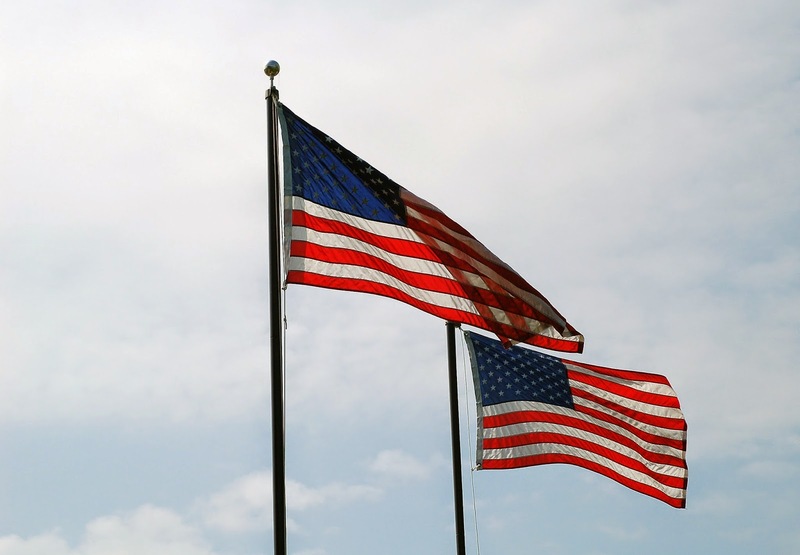 Today is the 4th of July – Independence Day! A day filled with fireworks, picnics, and parades. The day when you need to forget about work and go outside and play in honor of this wonderful country. You've probably already made plans for the day, but if not, find a parade and either join it or watch it. Call all your friends and meet them at a park for a barbecue. Watch the fireworks and just have a wonderful time! The Fault in Our . . .
Make love, not war and God is Dead! I could go on, but you get the point. Many people think things are really bad right now. I get so depressed just trying to watch any news feed whether on television or on the internet. Our country is bereft of hope! This is where we as Christian authors can make a difference. I just finished reading “The Fault In Our Stars”. My 27 year old daughter who battles epilepsy doesn’t read books. But, she picked up this book and read it from cover to cover and then took her mother to see the movie. She asked that I read the book. It is well written, fast flowing, and character driven. Perhaps you have read it. If you haven’t, and you are interested in reaching the “millennial” generation then you have to read this book. It is filled with angst, sarcasm, narcissism, brutal honesty, doubts galore about God and fate and destiny, and is just downright depressing. The ending is ultimately, sort of, redemptive. I remember watching “Love Story” along with millions of other Americans who stood in line to see a movie that changed the face of American cinema. Everyone scratched their heads when they heard the phrase, “Love means never having to say your sorry.” (I love Ryan O’Neal’s reply to Barbra Streisand in the comedy ‘What’s Up, Doc?’ when she quoted this phrase to him in the final airplane scene. O’Neal said, ‘That’s the stupidest thing I ever heard’.) It was the “Fault” of its day. No one today remembers it! Perhaps we will all be quoting lines such as “Some infinities are bigger than other infinities.” or “Maybe 'okay' will be our 'always”. What the book offers to our young generation is an affirmation of their current state of existence. I attended Hutchmoot 2012, a Christian artist gathering in September, 2012. Out of the 180 attendees I was probably one out of the only 5 people attending over the age of 32. I sat in a room filled with over 60 young adults listening to Jason Gray and Eric Peters talking about “Recovery Through Song”: their journey out of depression through their music. I was stunned when almost every young adult in the room raised their hand to affirm they were depressed! In my Bible study group, there are several couples like us who have children in the twenties. Everyone one of us has a child who is battling depression! I don’t have time or space to go into the reasons this generation is so depressed. (I do cover that in my upcoming book, “Hope Again: A 30 Day Plan for Conquering Depression” coming out from B&H Publishing in September). Last night, I talked to my daughter who is struggling with depression. How does she cope? With creativity. She draws and illustrates. This is her escape and her therapy. I have fought depression since my teenage years and my escape is through writing. Here is my plea to those of us who are blessed enough to have a platform with our books. We need to write works that speak to this generation of young adults who are trying desperately to exist in a postmodern, relativistic, Godless society. We can be the voice or real encouragement and hope. We can offer encouraging books with our own promise of a God who became flesh and walked among us. The message, the Good News, of Christ is transformative and has been lost in the cacophony of works trying to find a way to instill hope in this generation. “The Fault In Our Stars” tries; it really tries. But it also defaults to a typical position that says there may or may not be a God BUT the “universe” is trying to speak to us and help us through this mess. One thing the book did get right. Love is the key to overcoming most of our problems. Love for each other. Love for our enemies. Love for God. Love for our sister or our brother. We need the world to know and to see through our stories that this idea originated with Christ. It is not an old story that has been forgotten. It is a story for us today — Good News that the Kingdom is at hand and we can be a part of the Kingdom of God. NOT the kingdom of nihilism. I have really enjoyed being a part of this blog. And I've loved hearing from you readers. But many new things are happening in my writing life, and I'm having to simplify the other things I'm involved with. Before I go, I want to share some fun new things from this week. James and I flew out last Saturday to go to Atlanta, Georgia. My latest novel, Catherine's Pursuit, was one of three finalists for the CAN Golden Scrolls Awards contest for Novel of the Year. I count being a finalist for this award a great honor. 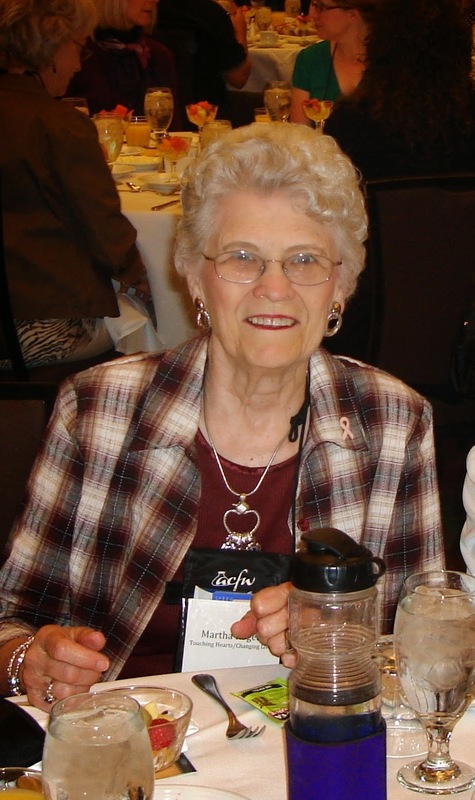 The Golden Scrolls Awards Banquet was held early Sunday afternoon. James and I were seated with some very interesting people, and we enjoyed sharing a meal and visiting with them. I was awarded the Golden Scroll Award for Third Place in Novel of the Year. Here's a picture of me with the award. Several of the CAN Golden Scroll awards were displayed on this table at the big Jubilee Celebration that afternoon and evening. My award is the second from the left with my book and bookmarks in front of it. Here I am with many of the different Golden Scrolls Award winners. Jerry B Jenkins, to the left of center on the front row was awarded a Lifetime Achievement Award. I never thought I'd be in a picture with winners that include him. What an honor. 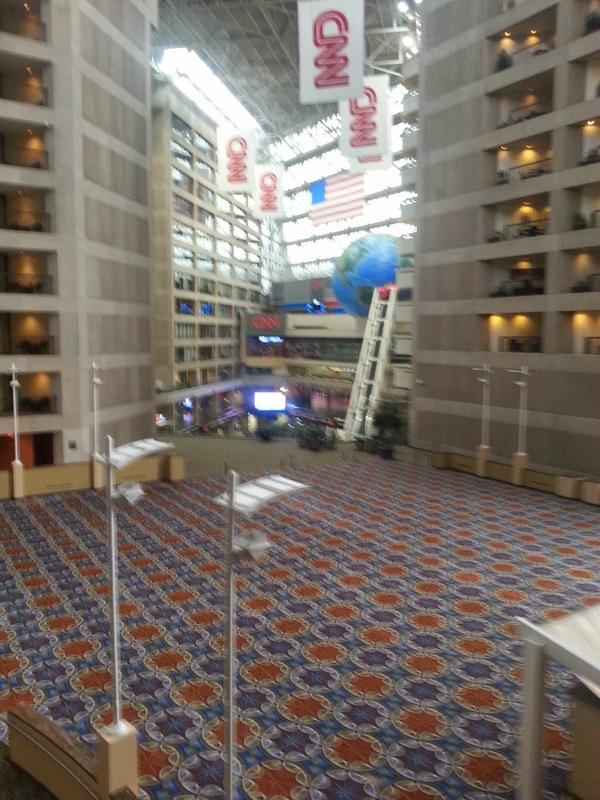 James and I stayed at the Omni Hotel. CNN's International Headquarters are in a section of that hotel. Here's the view from out balcony. We don't watch a lot of CNN programming, but we did find the building interesting. And there was a CNN food court where we ate most of the time we were in Atlanta. I hope you will keep looking for my books and letting me what you think about them. 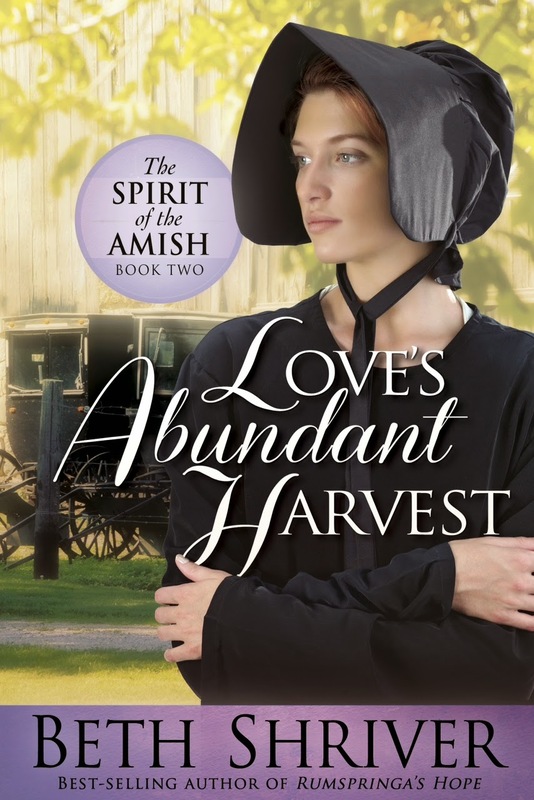 I wanted to share my latest story, Loves Abundant Harvest. Once again the Cover Artist has captured a perfect cover for this character. We are fortunate to enjoy these eye catching pictures. This character has been through a lot of mistreatment and has become distant, so the despondent look on her face is appropriate, as do the protective arms across her chest. I have taken a break from writing fiction over the past few months to concentrate on writing a paper on a history of my hometown of Raymond, Alberta, and the surrounding area. Every town has a story, of course, but the little prairie town of Raymond is special to me because it's where I grew up and where I continue to live. My wife and I raised our children here and have many special friends. When the TV show "Everybody Loves Raymond" was at the height of its popularity, T-shirts with the logo on it began popping up around town. A bit egocentric, yes, but it was always worth a chuckle to see our community pride manifest on what appeared to be an international level. Something I have discovered is how my love for my home town has crept into my writing. I have written at least three novels that are set in a fictional town named Reunion, which I realize is really Raymond. And locals who have read the novels have come up to me and indicated they recognized Raymond as the setting. I have even written and performed three songs about Raymond, Alberta. The songs fit in perfectly with the curriculum at the elementary school where I taught for twenty-five years. It was rewarding to teach the songs to my students and then go "on tour" and share them with the other classes in the school. So whether it's writing books or writing songs, I have been significantly influenced by my roots. And the research paper I just finished has reminded me of just how much of a small-town prairie boy I am and will remain. You may take the boy out of the town, but . . .
Books are available in both paperbacks and e-books and can be purchased at http://www.christianbook.com/, www.BarnesandNoble.com or http://www.amazon.com/ and also at your favorite local bookstores!